Something tells me we’re not the only ones who get excited over beans and rice. Do you? Rarely a week goes by that we don’t have beans of some sort or another, and my mother’s chili beans with rice are a staple around here. My father found a recipe in our local grocery store (Raley’s) circular for a Cajun red beans and rice using smoked pork shanks. Given my dad’s love affair with all things pork, he couldn’t wait to make it. Traditional Louisiana red beans and rice also uses Andouille sausage which we did not add, but you could if you wanted. There was plenty of flavor, and plenty of meat, with the smoked shanks. If you have access to ham hocks and not shanks, you may want to make up the difference in meat (hocks have much less meat) with sausage. Just take 1/2 pound of Andouille sausage, slice, brown first before adding to the beans with the ham shanks. If you do not eat pork, you might try making this with smoked turkey sausage, in which case I would replace some of the water with chicken stock. 1 Soak the beans: Place dried beans in a large bowl and cover them with cold water by a couple of inches. Let soak for 8 hours or overnight. (You can quick soak them by putting them in a bowl and pouring boiling water over them, covering them by 2 inches, then letting them soak for two hours.) Drain. 2 Cook beans with ham, garlic, onion, water: Place beans, ham shanks, garlic, chopped onion, and water in a large (8-quart) pot and bring to a boil. Reduce to a simmer and cover, simmer for 1 1/2 hours or until beans are tender. 3 Remove ham shanks, separate meat from bones: Remove ham shanks from the pot to a dish. Let cool slightly then shred the meat away from the bones. Return the meat back to the pot. 4 Add vegetables, seasonings, cook until thick: Add the celery, bell peppers, Worcestershire and seasonings. Cover and cook for another hour or until the mixture gets thick. Season to taste with Tabasco sauce, salt and pepper. Hello! All photos and content are copyright protected. Please do not use our photos without prior written permission. If you wish to republish this recipe, please rewrite the recipe in your own unique words and link back to Red Beans and Rice on Simply Recipes. Thank you! Recipe adapted from "Something Extra", winter 2009 issue, Raley's and Bel Air Markets. Excellent! Added cilantro and cooked it only about 1 hour and 45 minutes. Added a teaspoon of apple cider vinegar too. For those of you who say not to pre-soak the beans, remember that some us live in high elevations. You MUST pre-soak beans if you live in higher elevations, otherwise they never become edible, no matter how long they are cooked. I made pinto beans once with raw beans. I very carefully followed the recipe my daddy gave me and cooked them in the crockpot for 12 hours. In the end, when I poured them into the garbage, it sounded like a machine gun spraying bullets. They were still hard as pebbles. I agree with the longer cooking times to layer the flavors, but some of us still have to soak our beans, preferably overnight. Great recipe, Elise! I did omit the Worcestershire, and do most of my seasoning at the end of cooking. My friend from Louisiana gets homesick sometimes and knows he can request red beans and rice from this girl in Nebraska and feel comforted. I thank you for this blessing I can share! No cajun spices- that’s just salt and fake flavorings! No tabasco – until after you plate it. You MUST cook the seasonings FIRST!! Do Not Throw Them In the Water with the Hamhocks. That is 100% a sign of someone not fron Lousiana and round here, that would be considered Crazy Talking … lol. Saute them in olive oil or butter first! This locks in the flavors. People put all those unnatural saltly spices in food when they dont have time to develop the layers of flavorings. Unless you like heat, add Tabasco. Soaking the beans overnight just makes them cook faster. Drain out that water. Start with new water. What people get wrong all the time with cajun food is they over spice it with heat. I grew up in NOLA & Red Beans. It’s flavorful but not hot. I put in 1/4 cup of Olive Oil (makes them creamy) and tons and tons of dry Italian seasonings (the more the better) in addition to the above freash seasonings. We eat it with brown rice to make it healthier, but traditionally it’s white rice. As far as tomatoes in red beans, our family recipe calls for a 8 0z can of tomato sauce. Lots of New Orleanians put catsup in their beans. We have always used tomato sauce. Most of the recipes for red beans are fairly standard. I probably put more garlic and celery in mine that most. I also chop my veggies a little courser since the kids have grown up. I like the crunch of the veggies. This recipe with ham hocks is the absolute bomb!!!!!!!!!! This seems like one of the main divisions for red beans and rice. 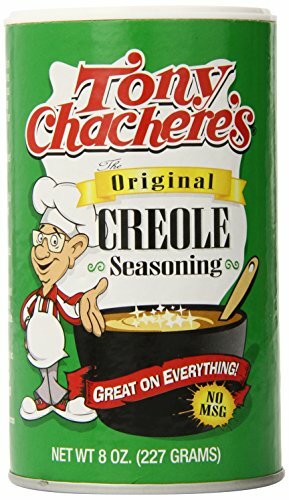 I’m not from Louisiana but it seems to me from researching is that that tomatoes are an often used ingredient in Creole cooking compared to Cajun where its use was traditionally more sparingly. Since red beans are a Creole dish wouldn’t tomatoes be acceptable? 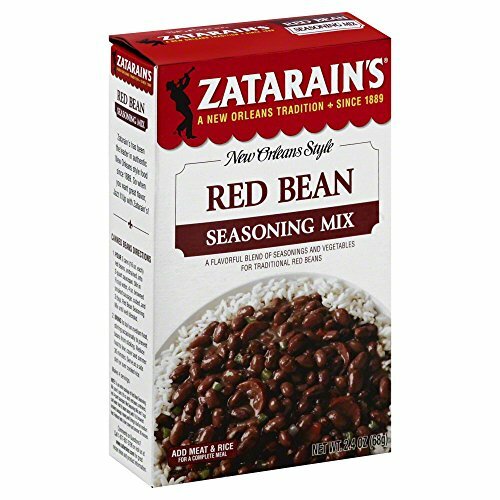 Secondly, as red beans are a home spun recipe wouldn’t the ingredients list differ from household to household including whether or not to use tomatoes? Also in the olden days it would have depended on the season and whether tomatoes were readily available. No? NO tomatoes in a New Orleans style red bean that I have ever heard of or have eaten. A tomato in jambalaya yes, beans no. I have a pot on as I type. I was going through Pinterest and saw this recipe so I thought I’d read it. I’m always interested in the different versions of what people call “New Orleans” style food. I am born and raised in NOLA and by no means am I an expert on its food, but to my up bringing, Wendy has the recipe to a “New Orleans” style red bean. The only thing I would recommend differently is that after it comes to a boil, reduce to low and cook for 3-4 hours or longer if needed. Keep adding water as they thicken. Mine have been on for 4.5 hours now on low….. and the only seasoning I used is an onion and salt. I have pickled pork meat and sausage in them. Wendy is also correct that it’s a Monday favorite across south LA. Old traditions die hard here. Years ago when there were no washing machines, everyone washed clothes on Monday. Since it took all day to do the laundry, they needed a meal that could basically cook itself. They would put a pot of beans on in the morning and by dinner they would be nice and soft. They would also be nice and creamy. LONG and SLOW is the secret to soft and creamy red beans that is New Orleans style. Add dashes of Tobasco once you have made your plate if you want that extra kick of spice, but I have never heard of a tomatoes in a New Orleans style red bean. But hey, in NOLA anything goes so maybe someone added tomatoes to their recipe???? Serve over rice with French bread, a biscuit or even cornbread. Well, if you’re from New Orleans, Mondays are Red Beans and Rice days. Every Monday, every kitchen in New Orleans and suburbia has a pot of beans cooking. I have to say, I make one of the best dishes of RB&R ever! Its easy, and you don’t need a lot of spices, You don’t need to soak them, either. Here goes: 1lb Red Kidney Beans (has to be Kidney Beans, Camilla brand is the best), In a large pot of water with about 8 to 10 cups of water and a little salt, boil over a high heat. Boil for a couple of hours. Keep adding water as it evaporates, keeping about the same amount at all times. Chop an onion, a tablespoon or garlic, about three to four stalks of celery, and 1/2 lb bacon. Cook bacon in a fry pan until its done, not crispy, but where you can see through the fatty part. To that, add the onion, celery, garlic and sautee together until the onions are transparent. Slice up some Eckerage Keilbasa smoked sausage into little discs and add to the fry pan. Cook this together with the rest until the sausages get hot. Dump everything into the pot of beans. Add to that three Bay leaves, salt and pepper to taste. Cook for about 2 to 3 more hours. They get better and better the longer you cook them. You’ll see the beans breaking down and the “water” will be a nice creamy sauce. Cook your rice (Jassmine is my favorite), Serve the Red Beans over the rice, scooping up the smoked sausages as many as you want. THAT’S THE WAY TO MAKE IT. ITS EASY! JUST DON’T LET IT BURN, SO KEEP STIRRING AND MAKE SURE YOU’VE GOT WATER IN THERE. YOU WON’T HAVE TO PUT ANYMORE WATER AFTER YOU ADD THE SEASONINGS. ENJOY!!! Several times a year we make domestic mission trip with 12 – 20 others and do the cooking. This year I used this recipe multiple times. On the first full day of the trip I usually put a fully cooked spiral cut ham in the crock pot for dinner. I save the juices from the pot and use it 2 or 3 days later in the red bean recipe in place of some of the water. Other than that I follow the recipe exactly. I have to print out multiple copies of the recipe because everyone always wants to take the recipe home with them. I wonder what it would taste like without the ham and just with a mixture of sweet and spicy sausage instead? Try add some tomato sauce to the recipe.It does wonders for my red beans and rice recipe I learned from my Mom. Use extra ham shanks too! Yum-mo! Cilantro in red beans n rice?!? Negative. Thank you for this recipe! I made a pot for a crawfish boil we hosted and the beans were a hit! I used ham hocks and andouille because I couldn’t find shanks and it turned out great. I made this tonite in addition to the dinner I fixed so that I would have food to eat for the rest of the weekend. This is delicious and very budget friendly. I used salted pork because it is what I had on hand. I removed the pork pieces and took all the fat off after simmering for 1 hour. Thanks for the great recipe. I wonder if I can substitute the ham shanks with Kielbasa (by Hillshire Farms) I can’t find the ham shanks anywhere around here! It’s way less stressful to do the final “long” cooking is in the oven, about 350 degrees, covered. No need to worry about sticking or boil overs. Of course, this is more inviting prospect in the winter. We made this but did not care for it. It was easy to make and we had a ton of left overs. Not one of our favorites. I made this last week, but the night I made it I wasn’t feeling well. So I made up about 6 servings with rice and sausage and froze them for lunches. My husband called me today at lunch to tell me how delicious it is. I am native Louisianian but now a missionary sister, and I move a lot. Mama mails me Camelia red beans so I can survive. I have had to adapt to local ingredients wherever I am. In Mexico, I couldn’t get bell pepper at the local market! I had to use a variety that was spicy but not like fire. It was also in Mexico that I learned to roast plum tomatoes on the griddle, puree them, and add to the beans to give them a boost since I had no pork and could not bring myself to use chicken. I do make meatless red beans sometimes. Red beans should not be a “tomato-y” dish, so you have to be careful, but I do add diced Contadina tomatoes in lieu of pork. I just drain them first–in fact I press them to get as much of the juice out as I can. Cajun culture has always been one to take what comes and adapt it. Like the Borg! We absorb other influences and are changed by them. My family has “absorbed” Venezualan by marriage. Now we add a little cumin to our red beans. Try it.